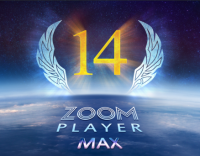 Zoom Player MAX is a feature-filled media player for Windows that allows you to play pretty much all video and audio files, plus supports DVD and Blu-ray playback. It even works with touch Windows tablets. Try it now and enjoy a magnificent media playback experience! « Discount: 10% OFF Sitewide Coupon for Banggood March Spring Sale! !